To get yourself on the SuperPi list please post a screenshot of your SuperPi 1M run along with a screenshot of CPU-Z for verification. 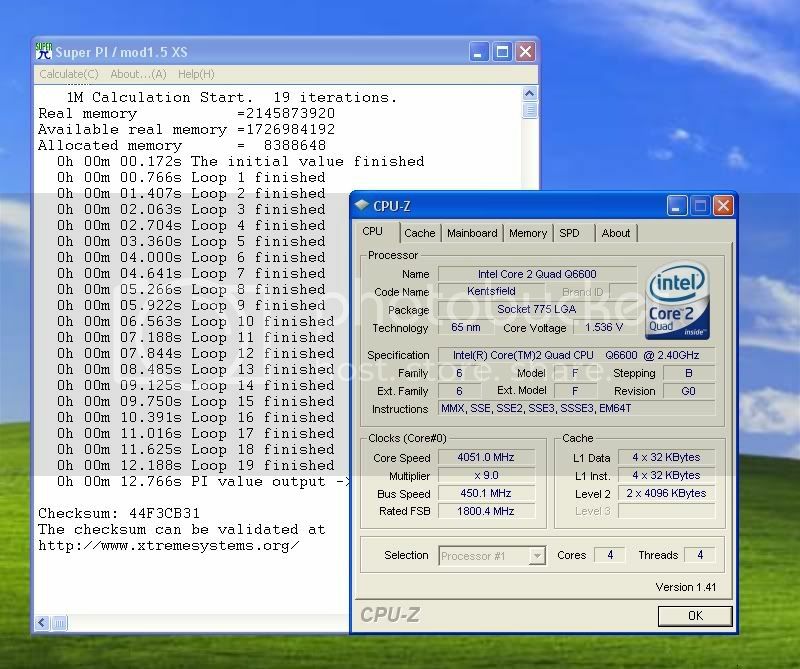 Note that only the highest run with the same CPU will be listed in an effort to keep the list neat and organized. here's my rig. does alright i would say. Why does your show up with more detailed time? Carnage's too...He's got the fractions of a sec there too. Why does mine not do that?